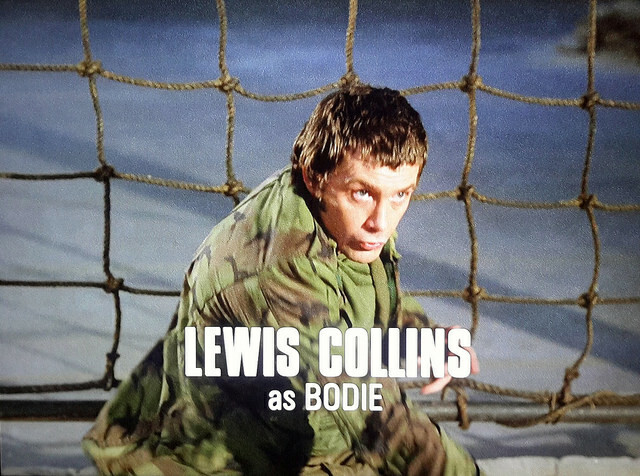 #367......"LEWIS COLLINS" - BODIE 3.7 . you'll never walk alone ! Oh double wow! This is a *great* shot, especially as he's on the move. Well done, son! Thankyou, i love the original opening sequence especially when they are climbing the netting. Glad you like it and thankyou for looking. How lovely :) Thank you! me too, i love the original opening scenes and he looks sooo good especially when he pulls himself over the netting. ohhh absolutely....and never to be forgotten. He looks very focused here and I love the opening scene when they are climbing the net and jump through the window. Thank you! i love the original opening sequence especially when Bodie pulls himself over the netting.